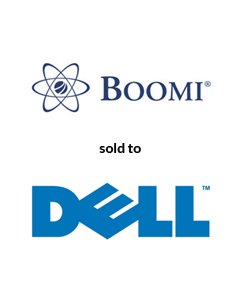 America’s Growth Capital is pleased to announce that its client, Boomi, Inc., a provider of cloud-based software-as-a-service integration solutions, has been sold to Dell, Inc., a provider of computer systems and related products and services worldwide. After receiving in-bound interest from a partner of Boomi, AGC orchestrated a rapid, targeted process with a handful of strategic acquirers, which proved instrumental in attaining a very attractive valuation for the Company. The transaction was completed on November 3, 2010, and financial terms were not disclosed. With a team led by Fred Joseph, America’s Growth Capital acted as sole financial advisor to Boomi.